Sir Ian served 21 years as a Judge of the High Court. When he retired in 1997 he was the senior Judge of that Court and had been Acting Chief Justice on occasions. He served on the Council of the University of Auckland for 10 years and was Chancellor of the University from 1991 to 1999. He practices as a commercial arbitrator and mediator and, since his retirement, has conducted various official inquires. He continues to sit as an appeal judge in the Cook Islands. He is a trustee of the St. Patrick’s Cathedral Heritage Foundation. LL B (Hons), M Jur (Distn), FANZCN, AIF, M Inst D.
Geoff Clews is a senior barrister specialising in contentious taxation matters and trust disputes. 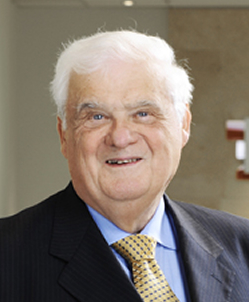 He has been a trustee of the Elliott Trust since 1987. Outside his legal practice Geoff is chairman of the Auckland Communities Foundation, a major not for profit facilitator of private philanthropy in Auckland. Over some 30 years he led the campaigns which established three arts facilities in Auckland at community and regional levels. He now serves as a director of Regional Facilities Auckland, the Auckland Council Controlled Organisation responsible for governing over $1 billion of arts, sporting, heritage and collection assets for the City. Geoff is a Teaching Fellow with the Faculty of Law at Auckland University, teaching a Masters course on tax disputes, and sits as a Ministerial appointee on the Financial Advisers Disciplinary Committee. With a background in English and teacher education Stuart has worked as a consultant in a variety of countries throughout the Pacific, the US and Great Britain, has been a Principal of a large multicultural secondary school and has written regular columns for New Zealand Education Review in New Zealand and Campus Review in Australia. Stuart speaks and writes on a wide range of educational topics and continues to write a regular blog at www.stuartmiddleton@manukau.ac.nz or www.edtalknz.com. 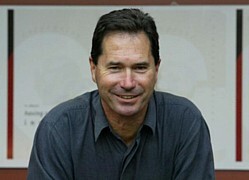 Awards that he has received include the QANTAS Media Awards in 2002 and 2003 as the Best Social Issues Columnist in New Zealand, a Commonwealth Relations Trust Fellowship to the University of London Institute of Education and in 2007 – 2008 he was awarded a Fulbright New Century Scholars Award. It was out of that work that New Zealand’s first Tertiary High School opened in 2010 at Manukau Institute of Technology was developed. 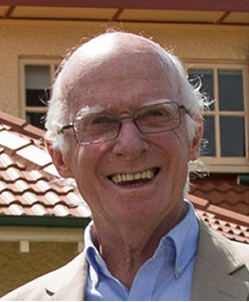 In 2010 Stuart was made an Officer of the New Zealand Order of Merit (ONZM) for his services to education and also established the Centre for Studies in Multiple Pathways at MIT in 2010 to continue the work in the secondary/tertiary interface area, He has wide community involvement and serves on national groups in education. Stuart is also a member of the Board of Trustees of Te Aho o te Kura Pounamu (The New Zealand Correspondence School) and is a Justice of the Peace (JP). 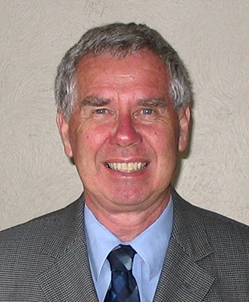 Bill Gavin was Principal of Otahuhu College from 1985 to 2001 and Coordinator of the Achievement in Multicultural High Schools (AIMHI) schooling improvement initiative from 2002 to 2006. Since 2006, he has been involved in a variety of education consultancy positions. He has also served as a trustee on the New Zealand Youth Mentoring Network and he has been a member of The University of Auckland’s Starpath Board and the university’s interviewing panels for the selection of applicants for secondary teacher training . Steve Corbett is the founding CEO of e-centre ltd, Massey University’s business development company, e-centre assists new companies develop their capability to convert their innovation and entrepreneurship into growth focussed investment ready companies. 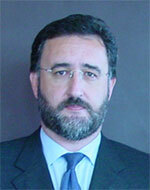 He is a judge on the Young Enterprise Scheme national business challenge. The business competition for secondary school pupils and is also a judge and mentor on the Massey University Business Students Group business plan competition. Steve is a director of a number of early stage technology companies. Hamish McCarroll was a Sir George Elliot Scholar in 2000 after attending Sacred Heart College, Auckland as a boarder from Tauranga. In 2001 he attended Victoria University of Wellington where he studied Law, International Relations and English Literature. After studying on exchange in The Netherlands he returned in 2006 and spent eight years working in finance as an equity derivatives trader for Dutch and Belgian banks. 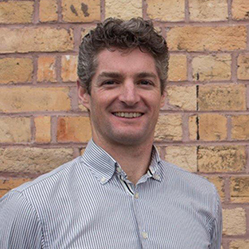 Hamish returned to New Zealand in 2014, and has been working in export markets since, firstly with Kraft Heinz / Wattie’s and currently as Export Manager at Ecostore. Hamish has been actively involved with the trust on selection panels since 2016 and a trustee as of 2017. Neha was a recipient of the Elliot Scholarship in 1999. She is a qualified lawyer and worked in the community legal sector with YouthLaw Aotearoa and Auckland Disability Law for several years after completing university. Neha has also completed a Masters degree in Ancient History, with a focus on women and religion in the later Roman empire. Currently she is a court reporter based in Manukau and writes, proofreads and works an audio describer in her spare time.